The Essex Garden Foods journey began three years ago when founder and owner, Marcin Bartkowiak, who has lived in Essex for over a decade, decided to pursue his passion and develop a range of speciality sauces. 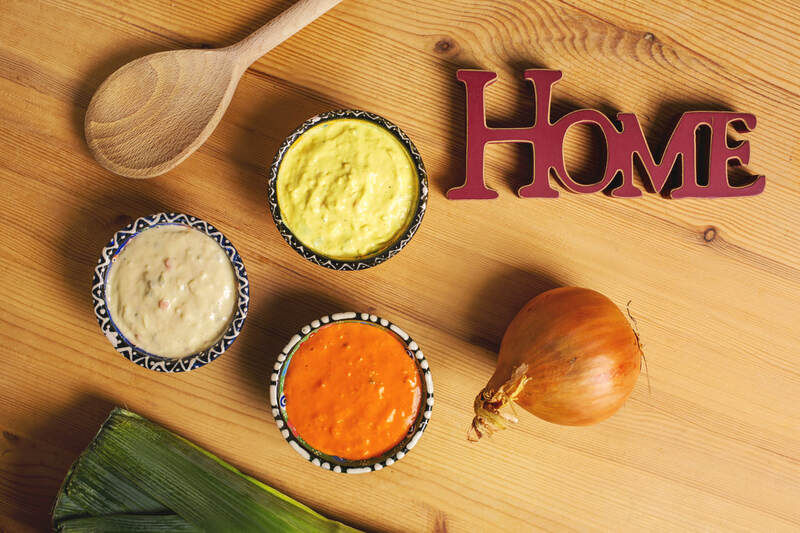 The result is the Proper Classic range of speciality mayonnaise: "Proper Classic Mayonnaise with turmeric", "Proper Classic Mayonnaise with punchy garlic" and "Proper Classic Mayonnaise with spicy Scotch Bonnet chillies". The 'Proper Classic' range of Speciality Mayonnaise is gluten, wheat, soya, nut, GM and lactose free. It is made using pasteurised free-range eggs and contains a high-quality, carefully sourced special selection of vegetables. Proper Classic Mayonnaise is the ideal accompaniment for a wide range of meals, and is suitable for vegetarians. ​Marcin has lived and worked in Essex for 12 years and confesses to loving the county so much there was no question that it should feature as part of his business name. "Essex is my home. I have had a good, productive life and have many friends who were born and bred here. I wouldn't think of going anywhere else to start up my business." Marcin is firmly set on growing his company. Essex Garden Foods Ltd is a member of A Taste of Anglia, an organisation that supports and promotes the food and drink industry across the country. They have also been supported by the Essex Innovation Programme and Nwes, not-for-profit enterprise agency, that provides total business support and help for start-up businesses. Proper Classic Speciality Mayonnaise is already widely available in the South East of England.